The low SW of Sri Lanka persists in the same position as given in previous blog. Though not approached the Island yet, should precipitate rain by this week end over Sri Lanka. The much awaited and anticipitated low mentioned in Vagaries' November forecast ( for the 8th) may eventually form it seems. Conditions for the formation of a low are brewing around the Andaman Islands, and in fact Thai map shows a low of 1008 mb there as on Friday evening. For numbering it, Will wait and see the progress. If it matures, then, as mentioned in monthly forecast, should track towards the T.N coast as a depression at least. 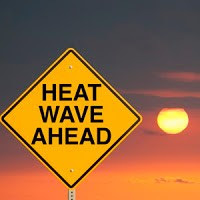 The passing of N-2 will eventually cause cooling in the states of Punjab, Haryana and Delhi from Saturday thru Tuesday. The central plains, i.e. M.P. and Gujarat will see a fall of 2/3c in the night temperatures. Moisture from N-2 can possibly bring some light rain in the weekend in central Nepal. We had forecasted cooler nights for Pune from Friday (13c estimated on Monday, 7th Nov). and so be it ! Pune was 13.4c on Friday morning. Saturday and Sunday will see the day around 31c and a cooler night at 12/13c. Mumbai, warmed up more than expected in the day these last few days. However, the minimum temperatures were almost along expected lines. The forecast put up on Monday (7th) last, and the actual temperature in brackets shown here for performance study. Friday/Saturday: 32 - 19/20 : (35-21) ( However, Colaba was 32c). Forecast for this weekend for Mumbai Santa Cruz:Clear Sky. With failed SWM and almost negligible NEM has brought Andhra to drought. It is high time our scientist study change in climate pattern over India - Southern states are facing more dry periods while western states like Maharastra, Gujarat, Rajisthan,MP are becoming more wet and rainy. Whether the system which is currently located located over Sri lanka coast will move towards the Arabian sea or it will move in Bay of bengal?